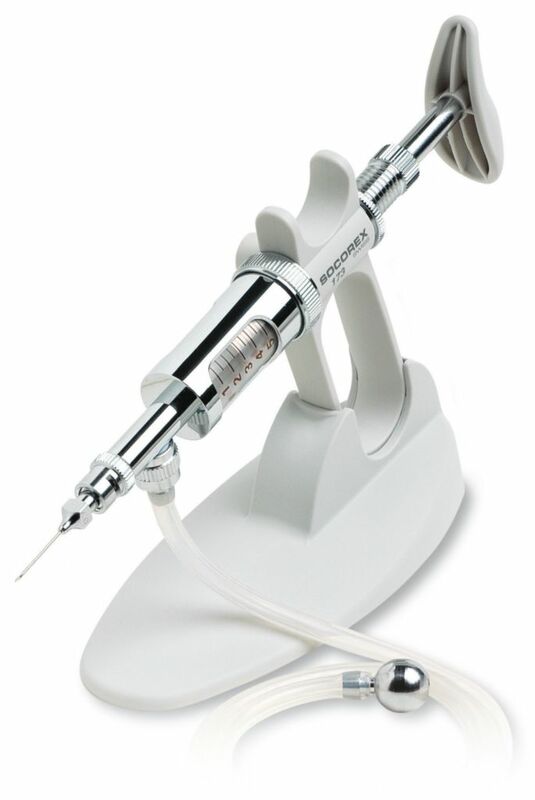 Dosys™ 174 premium: Self-refilling, automatic syringe with detachable, Luer lock valve system. Enhanced corrosion resistance. 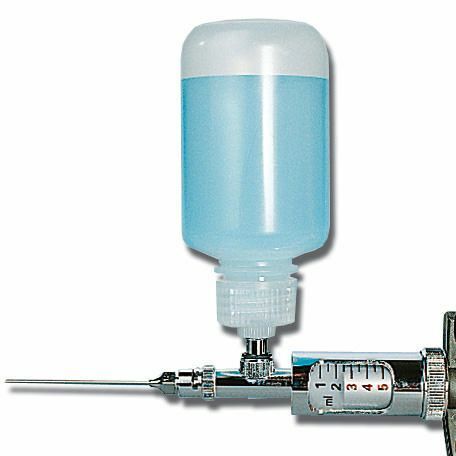 Dosys™ 173 classic: Self-refilling, automatic syringe with integrated, Luer lock valve system. Ideal for aquous, non corrosive liquids. 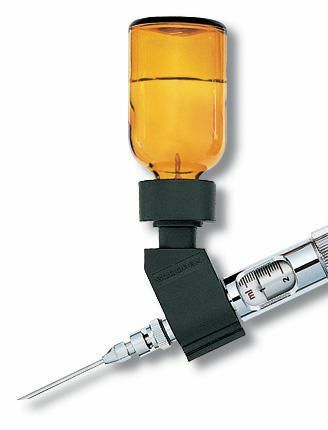 Dosys™ 172 basic: Automatic syringe without valve system. Luer lock nozzle. Leveringsinformatie: Dosys™ 174 premium package includes syringe and 1 meter silicone feed tube, sinker, PVC protection sleeve, aspiration, vent and dosing cannulas, set of spare for valve, operating instructions. Dosys™ 173 classic package includes syringe and 1 meter silicone feed tube, sinker, PVC protection sleeve, aspiration and vent cannulas, set of spare for valve, operating instructions. Dosys™ 172 basic package includes syringe, PVC protection sleeve and operating instructions.